Zenport Pruner Bolt & Nut QZ402-P2 Center Bolt and Nut Set for for Zenport QZ402 QZ408 QZ408 QZ407 QZ411 QZ409 Classic Professional Pruners. Zenport QZ402 Classic Manual Pruning Shears have a comfortable, light, sturdy handle made of forged aluminum. The blade is made of high-quality hardened steel, which allows clean, precise cuts. The sap groove prevents the blade sticking when cutting "sappy" wood. It saves time and makes pruning easier by removing sap and debris after each cut. 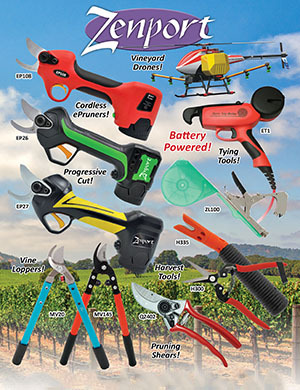 The Classic Pruner is easily adjustable. Hand and wrist protection and optimization of the force exerted are provided by the angled head, the ideal shape of the handles, and the cushion-shock absorber - non-slip coating.